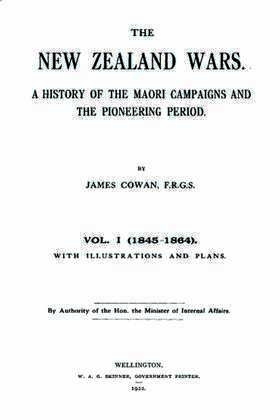 This information covers the history of the New Zealand Wars involving the British against the Maori people, after the establishment of British sovereignty. It also covers the history of the era of pioneering settlement in New Zealand. It includes valuable information on the years 1845-1864 - from the outbreak of Heke's War in 1845 to the end of the Kingite wars in Taranaki, Waikato and the Bay of Plenty, 1864. Also included is information on the Hauhau campaigns, during 1864-1872. Plus, it has some wonderful pencil drawings and black and white photographs. It's a great genealogy tool for anyone researching their ancestry and building their family tree!